Regardless of the outcome of Canada’s parliamentary election in October, Canada’s relations with the Arab and Muslim worlds, as well as with Russia, will change little. The present Conservative government of Prime Minister Stephen Harper has been more pro-Israel and pro-Ukraine than even those of the United States and Britain. The reason for the drastic change in Canada’s past foreign policy of supporting multilateral organizations like the United Nations has much to do with ethnography of the Canadian political scene. The three main contenders for prime minister – Stephen Harper, the official opposition leader Thomas Mulcair of the New Democratic Party (NDP, and the Liberal Party’s Justin Trudeau, the son of former Prime Minister Pierre Trudeau – are all pandering to two ethnic constituencies in Canada, the over one million Ukrainians and the 330,000 Jews. While not as numerous as Ukrainians, Canada’s Jews wield tremendous financial power and influence over the media. Canada’s two versions of the powerful American Israel Public Affairs Committee (AIPAC), the Center for Israel and Jewish Affairs (CIJA) and the Canada Israel Public Affairs Committee (CIPAC), have been courted by all three prime ministerial candidates. CIJA recently hosted a dinner for Ontario’s openly-lesbian Liberal Premier, Kathleen Wynne, an event attended by Trudeau and the Liberal Member of Parliament from heavily Jewish Mount Royal in Quebec, Irwin Cotler. It should be noted that Mount Royal was once represented by Pierre Trudeau. Cotler served as Minister of Justice and Attorney General in the former Liberal government of Prime Minister Paul Martin. It is noteworthy that Cotler’s wife, Ariela, is an Israeli citizen who once worked for the Likud Party of Israeli Prime Minister Binyamin Netanyahu. Cotler is also a strong opponent of Russia. An outspoken critic of the retrocession of Crimea to Russia, Cotler claims that he was poisoned while on a visit to Russia in 2006. Cotler claims of poisoning were never verified and the only evidence he has offered was a bout of nausea and vomiting blood after he ate at a Moscow restaurant. Cotler has long been involved himself in domestic Russian affairs. A self-styled «human rights» advocate, Cotler’s policies are more in tune with the American neo-conservatives, individuals like Victoria Nuland and her husband Robert Kagan than with past Liberal prime ministers like Martin and Jean Chretien. Cotler was close to Anatoly (now Natan) Sharansky, a former Soviet era refusenik who is now a major right-wing political leader in Israel. Cotler has championed the putschist government of Kiev, which has earned him a place on Russia’s visa sanctions list barring him from visiting Russia. Even though Cotler is not running again for parliament, he represents an interventionist political force that provides lobbying support for Israel and the Kiev regime, a force that transcends Canadian party politics. In an incredible display of pandering to Israel, the Harper government, which wants to ensure its undying support for the Netanyahu government in Israel to placate Canada’s influential Jewish voting bloc, refrained from getting on board with the lifting of sanctions on Iran resulting from the P5+1’s Joint Comprehensive Plan of Action on Iran’s nuclear program. CIJA was ecstatic over Harper’s actions. Harper’s government marched in lockstep with the Israelis in demanding regime change in Iran before the lifting of sanctions. The Harper government’s «Special Economic Measures (Iran) Regulations,» which slapped financial and trade sanctions on Iran, are the most stringent in the world. Canada also lost its diplomatic presence in Tehran when it closed its embassy and severed diplomatic relations. While Justin Trudeau has indicated he would restore Canada’s relations with Iran, his Liberal Party’s policies are constrained by the influence-peddling of power brokers like Cotler. The overshadowing influence of Canada’s Israel Lobby has resulted in unclear statements from both Trudeau and Mulcair on the lifting of the Tory-imposed sanctions on Iran. Both party leaders have merely suggested that diplomatic ties with Tehran be resumed. However, Mulcair has made no secret of his love for and loyalty to Israel. Mulcair’s wife is Jewish as are his children. Mulcair reversed the NDP’s traditional support for the Palestinians after he succeeded Jack Layton, who died from fast-acting cancer in 2011. Layton had championed Canada’s participation in the United Nation's Durban Review Conference on Racism in 2009, a conference roundly criticized by Israel’s lobbyists because it proposed that Zionism is a form of racism. After taking control of the NDP, Mulcair proceeded to stifle pro-Palestinian and anti-Israeli voices. In 2014, Mulcair supported Israel’s genocidal war against the people of Gaza. It is clear that the Israel Lobby engineered Mulcair’s takeover of the NDP in order to tamp down the party’s support for the Palestinian cause and bring its policies more in line with those of the Conservatives. 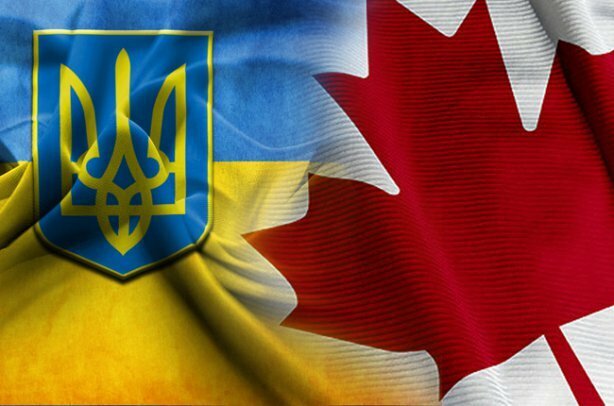 As for courting the Ukrainian-Canadian electorate, Harper recently hosted Ukraine’s Prime Minister, Arseniy Yatsenyuk, promising the cash-strapped Ukrainian official a plethora of aid and trade deals. Most of the Canadian «ridings,» parliamentary constituencies, where a large number of Ukrainian-Canadians live are safely in Conservative hands. In February 2014, Canadian foreign minister John Baird led a Ukrainian-Canadian delegation to Kiev to support the Ukrainian putschists after they seized power. The Liberals and NDP were not invited to join the delegation. Trudeau joked on a Radio Canada French language program that Russia was in a «bad mood» when it vented its anger at Ukraine over its ice hockey loss at the Sochi Winter Olympiad. Harper’s people immediately pounced on Trudeau and he has been more circumspect since in his policy statements on Ukraine and Russia. In December 2013, NDP foreign affairs spokesman Paul Dewar criticized Baird for traveling to Kiev and meeting anti-government protesters on the streets of Kiev. Mulcair has tried to avoid commenting on the Ukraine situation. However, as with pro-Palestinian elements within the NDP, there is a faction that opposed to the Kiev regime. Former «Globe and Mail» journalist, Linda McQuaid, NDP candidate for Toronto Center, has written, «With his saber-rattling over Ukraine, Harper has joined American neocons in comparing Vladimir Putin to Hitler -- even as the West props up a government in Kyiv tainted by neo-Nazis.» McQuaid is also 180 degrees out from Mulcair on Israel. McQuaid has been a notable critic of Canada’s pro-Israeli foreign policy and Israel’s treatment of the Palestinian people. However, Mulcair finds himself in full agreement with Trudeau on maintaining Canada’s 200-man military training mission in Ukraine. The only difference is that Mulcair believes the training mission should have been approved from Parliament. Meanwhile, Harper is considering a proposal from his friend Yatsenyuk on delivering lethal weapons to the Ukrainian regime. The situation in Canada mirrors that in other countries of the old British Commonwealth. The minimal differences between the top three Canadian political parties on Israel, Iran, and Ukraine is symptomatic of the takeover by neo-con and globalist interests of the major political parties of Australia, New Zealand, and Britain. Australian Prime Minister Tony Abbott, like Harper, gave only lukewarm support to the nuclear pact with Iran. When it comes to support for Israel, there is little difference between Abbott and the Labor Party opposition leader Bill Shorten. In New Zealand, only the Green Party distinguishes itself from the policies of the National Party of Prime Minister John Key or the Labor Party of Andrew Little. Green Party foreign affairs spokesman Kennedy Graham is a champion of Palestine and has urged the UN, not the United States or European Union, to shoulder talks between Russia and Ukraine. However, the voices of people like Linda McQuaid and Graham Kennedy are overwhelmed by wholly-purchased politicians like Harper, Trudeau, Mulcair, Abbott, Shorten, Key, and Little.